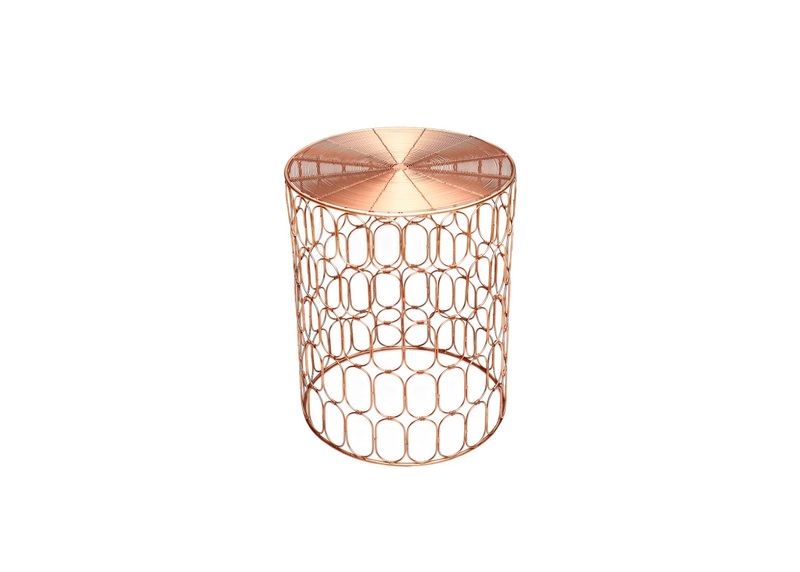 Description: Faceted geo side table in sleek open metalwork. Super-versatile, lightweight, it’s easy to style anywhere. 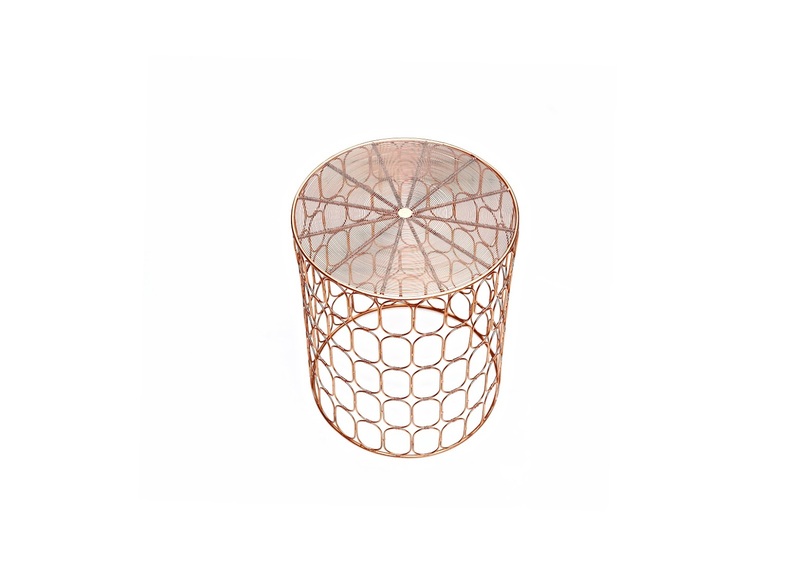 An intricate fretwork frame is made in copper.